What a Wild Way to Celebrate?! Wildlands Conservancy is thrilled to offer an unforgettable birthday party experience with educational wildlife and nature-based discovery for children of all ages. Our party facilities are located at the 77.5-acre Pool Wildlife Sanctuary, conveniently located off Route 78 from Cedar Crest Boulevard in Emmaus, Pennsylvania. Designated use of Air Products Environmental Education Center classroom or Brumagin Memorial Pavilion. Naturalist-led programming featuring a live animal presentation and either themed activity or guided habitat exploration. Take home gift for birthday child. Access to refrigerator and restrooms for duration of the party. Free parking from dawn to dusk. Open access to Pool Wildlife Sanctuary, where visitors can enjoy wildlife viewing opportunities provided by forest, meadow, and boardwalk trails. All parties allot one hour for lunch, cake and gift opening. Wildlands Conservancy permits outside food at Pool Wildlife Sanctuary but does not permit cooking on-site. Celebrate your big day with one-hour interactive wildlife presentation selected from our collection of birds, mammals, reptiles, amphibians and insects. Enjoy s’more making and a 1 hour wildlife presentation featuring creatures of the night! 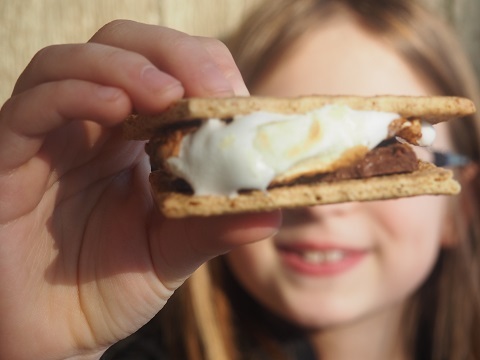 Pitch tents and enjoy a camping adventure featuring s’more making over a campfire or a geocache activity. Attendees will also enjoy a 30 minute base-camper approved wildlife presentation. This wet and wild celebration features a 45 minute water wildlife presentation and a 1.25 hour tubing activity. This party is only available between Memorial Day and Labor Day. Take a Wildlands birthday party to you! Enjoy a 1 hour interactive wildlife presentation delivered to a venue of your choice within 25 miles of Emmaus, Pennsylvania. Setup and cleanup: You are welcome to arrive thirty minutes prior to party’s scheduled start time to decorate. You must cleanup the rented area within thirty minutes of party’s scheduled end time. A cleanup checklist will be provided and collected the day of the party. We do not allow balloons or alcohol on-site. Payment: A credit card will be used to reserve your party date. Payment may be made the day of the party by cash, check, or credit card. Any balance remaining after the party date will be charged to credit card on file. Additional charges may be incurred if 1) additional guests participate in the program 2) Damages occur to property 3) Cleanup checklist is not fulfilled or completed on time. Animal Presentation: Certain animals may be requested but cannot be guaranteed. Please fill out the form below, and we will be in contact soon! When did you want to have the party? If you would like the party at another venue, where is the venue located? When did you want the party to start?